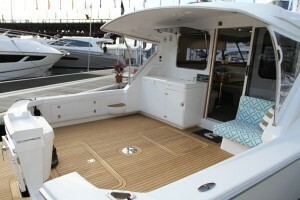 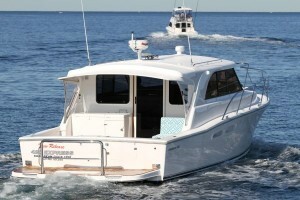 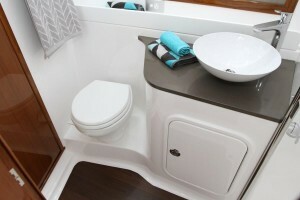 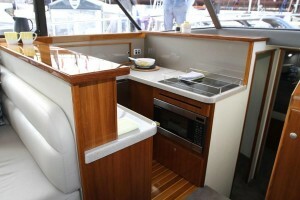 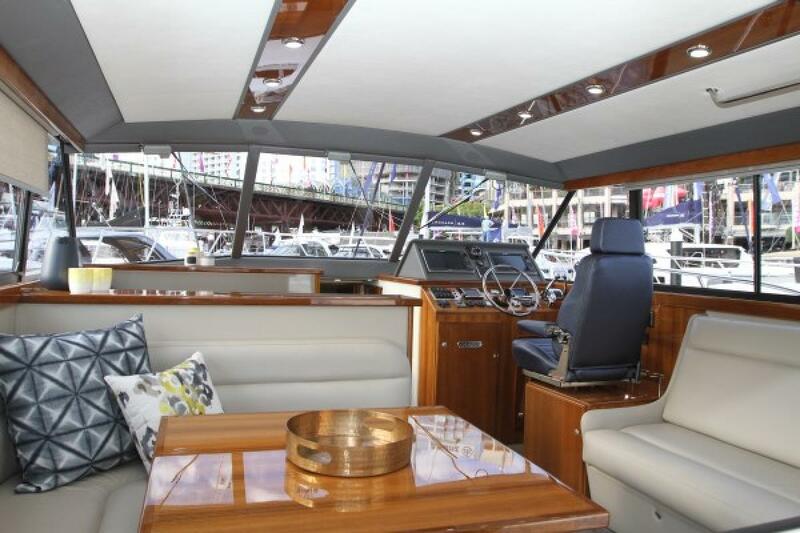 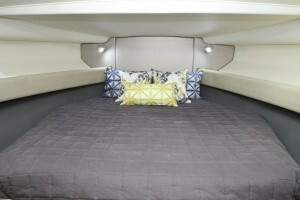 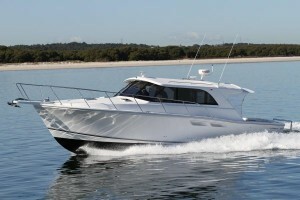 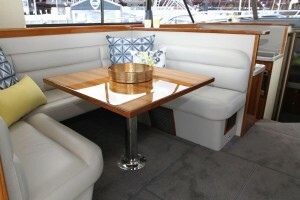 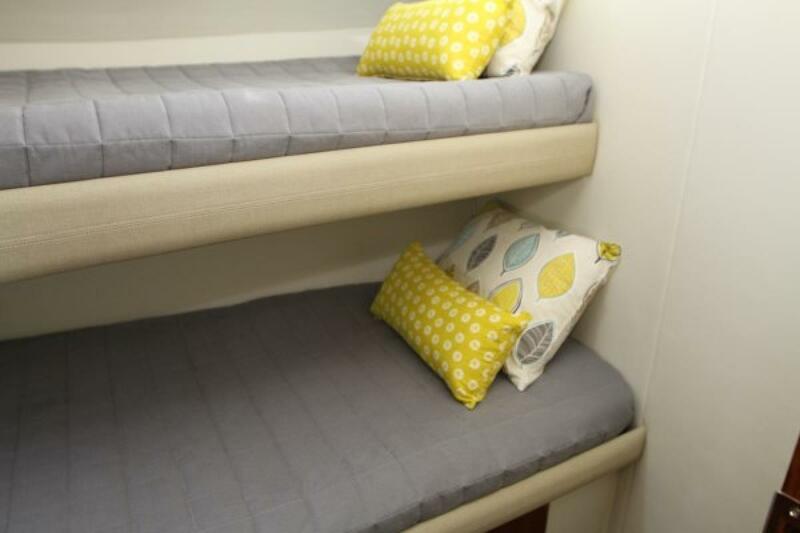 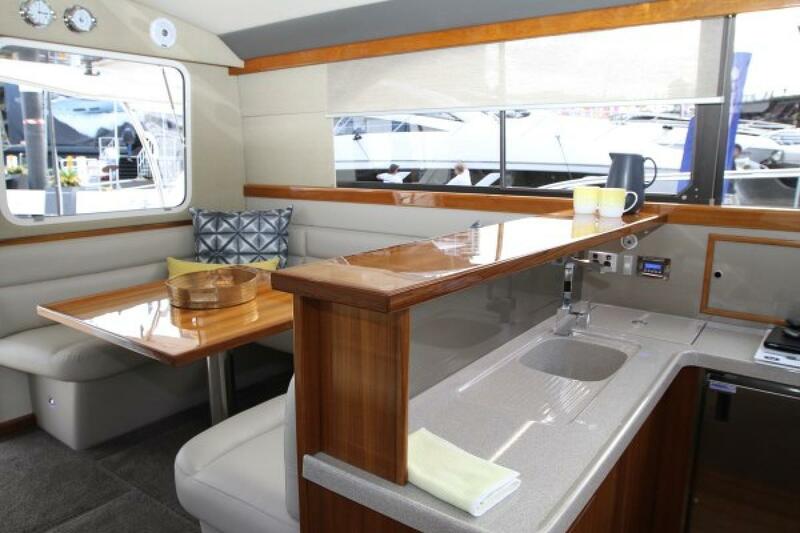 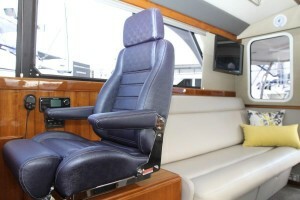 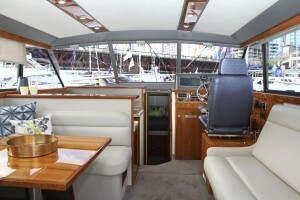 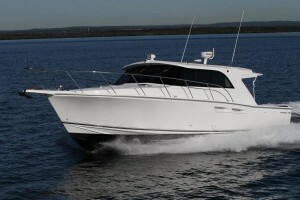 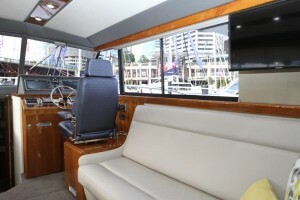 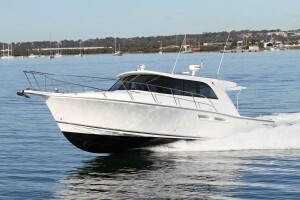 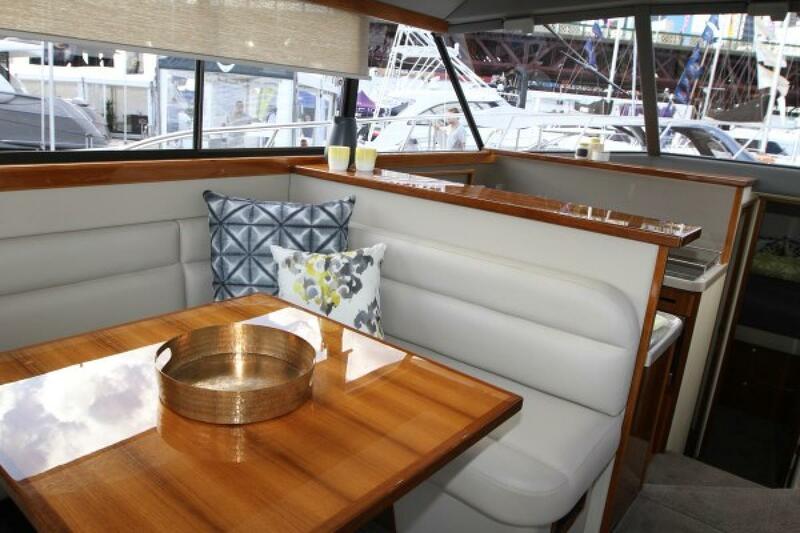 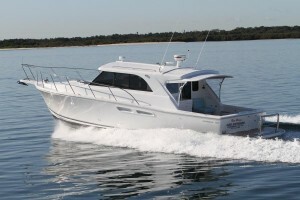 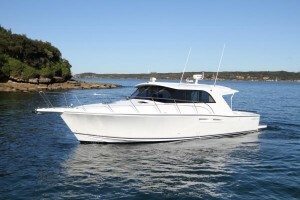 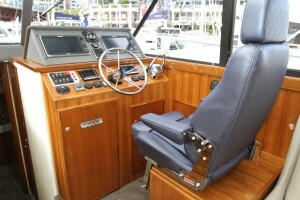 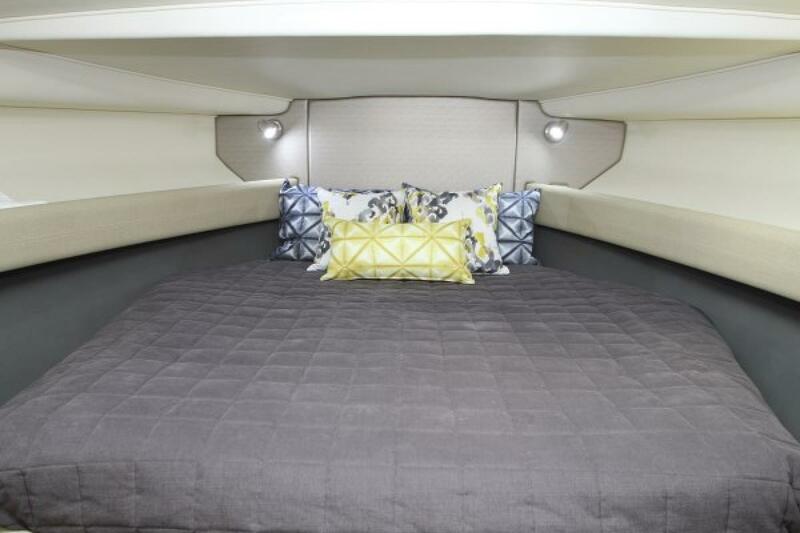 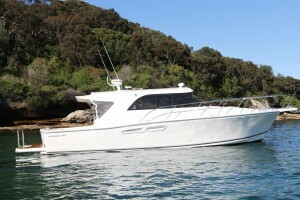 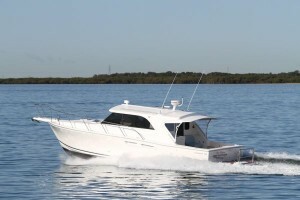 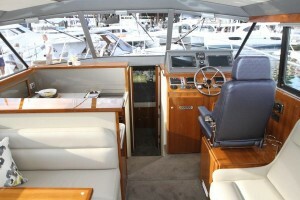 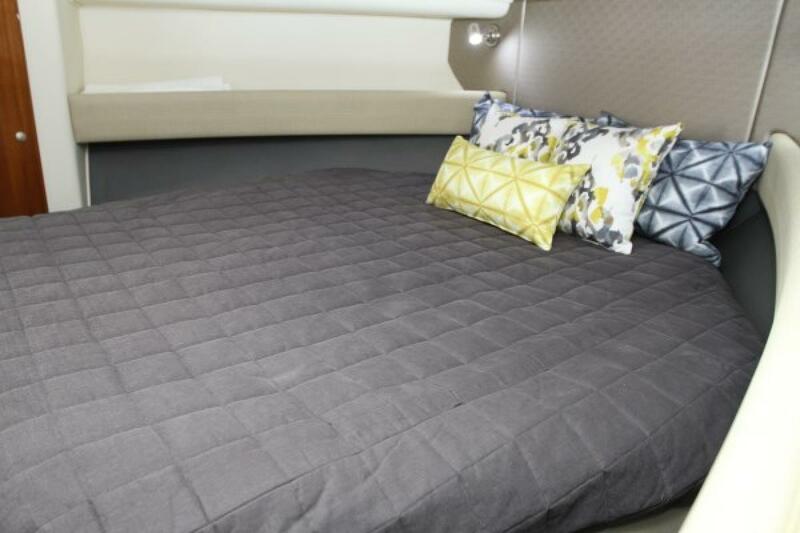 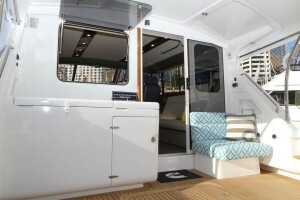 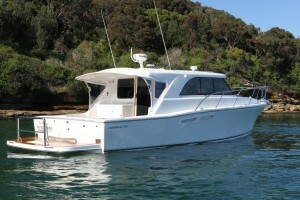 The all-new 420 Caribbean express is the boat Australian boaters have been waiting for. Powered by the time proven and reliable twin shaft driven 500hp QSC Cummins diesels and fitted with a 9.5KVA Onan generator the 420 mixes modern lines with time proven reliability. 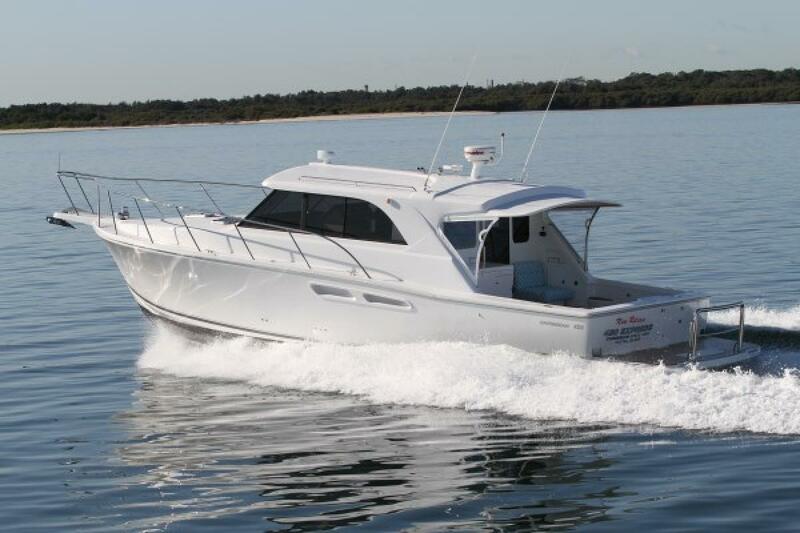 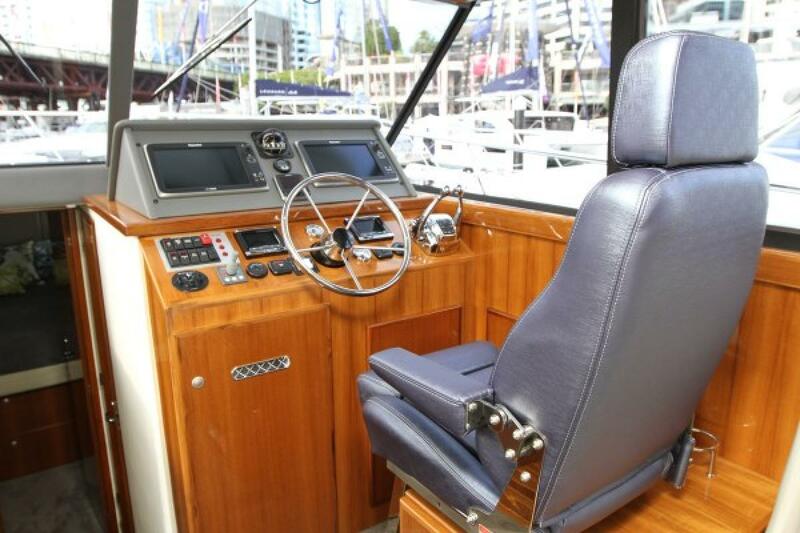 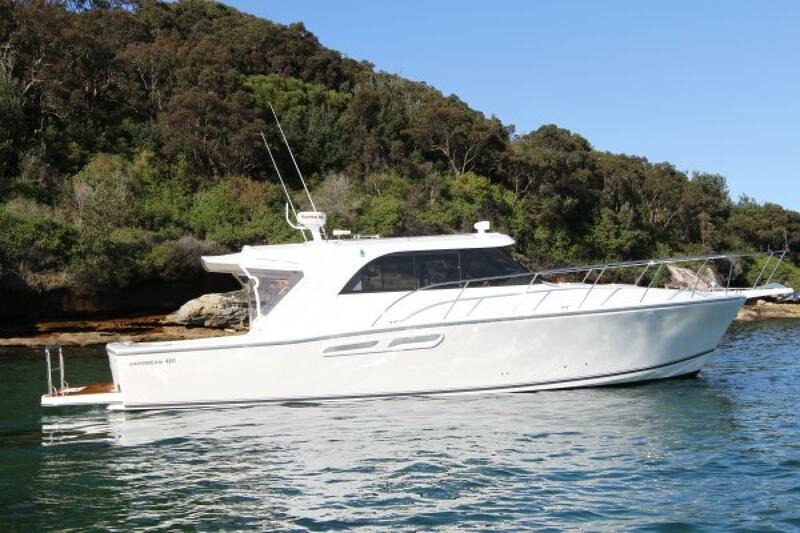 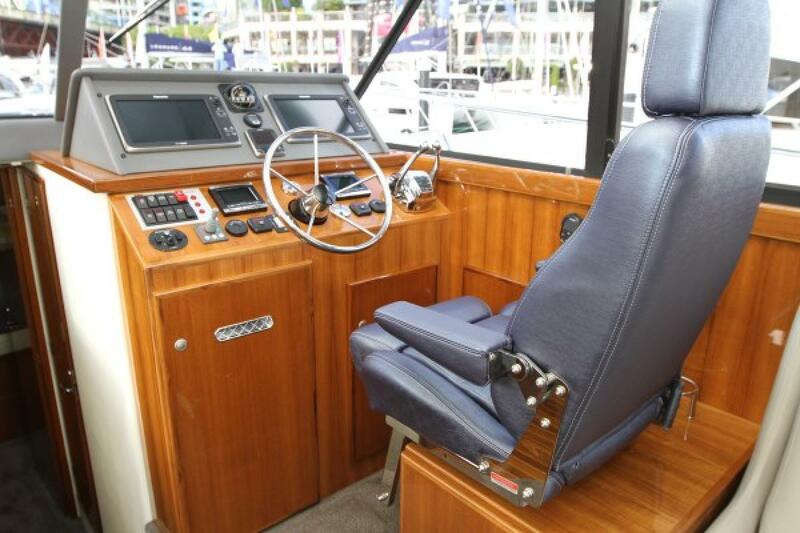 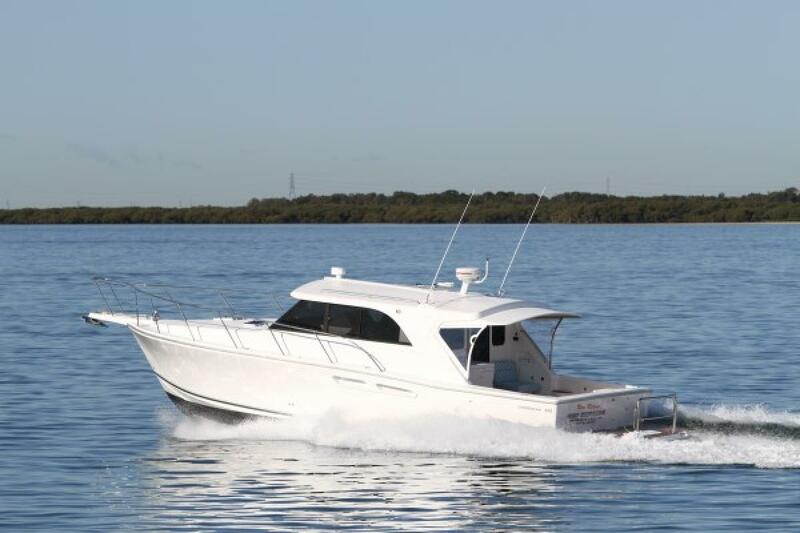 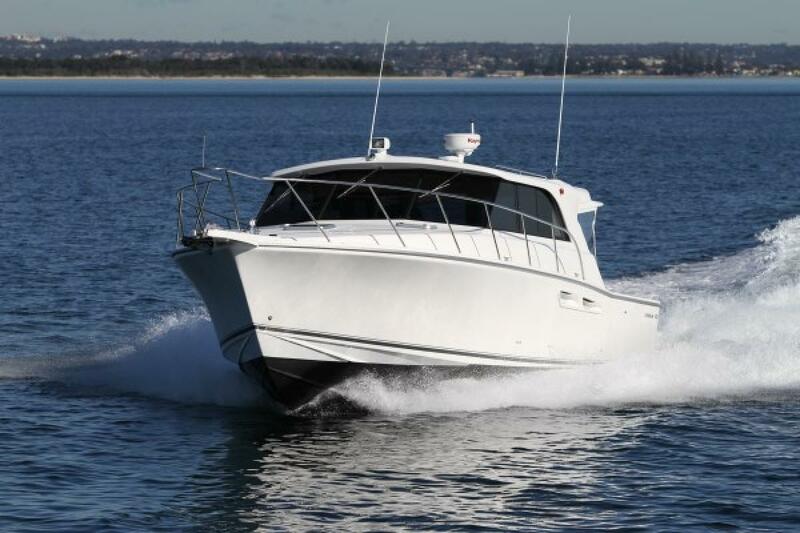 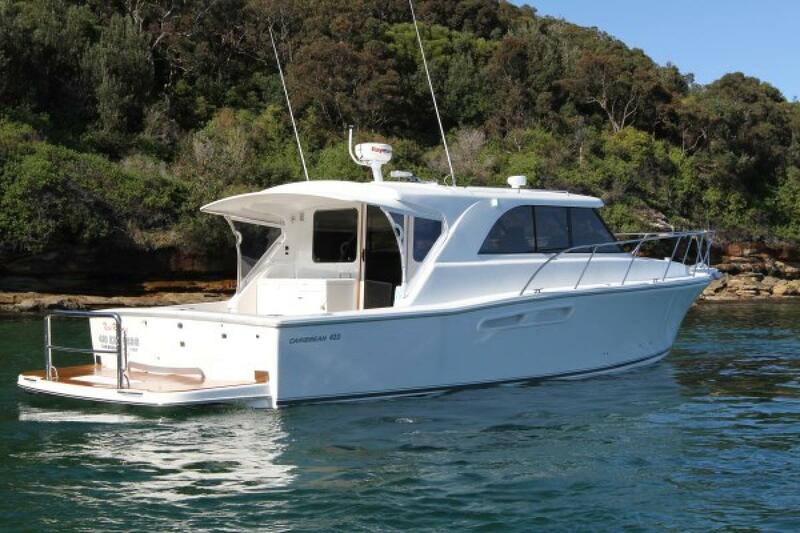 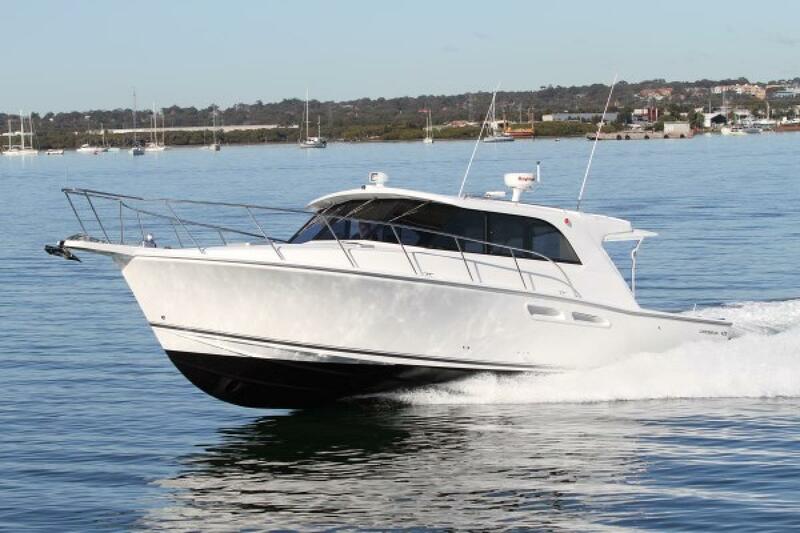 Built by Australia’s most respected fibreglass boat builder, International Marine, the Caribbean 420 is the latest addition to our range. 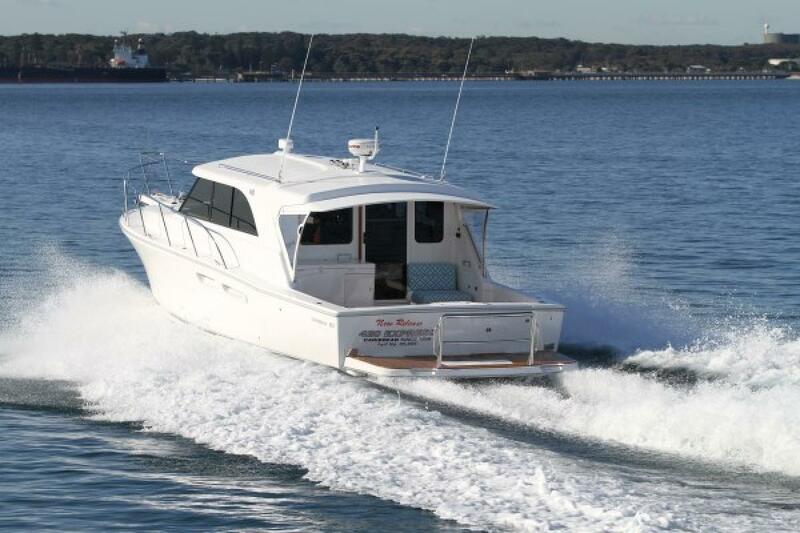 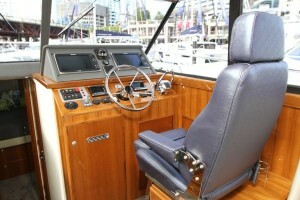 International Marine, a family owned and operated business have been producing fibreglass boats since 1958. The 420 express celebrates over 55,000 boats built International Marine. 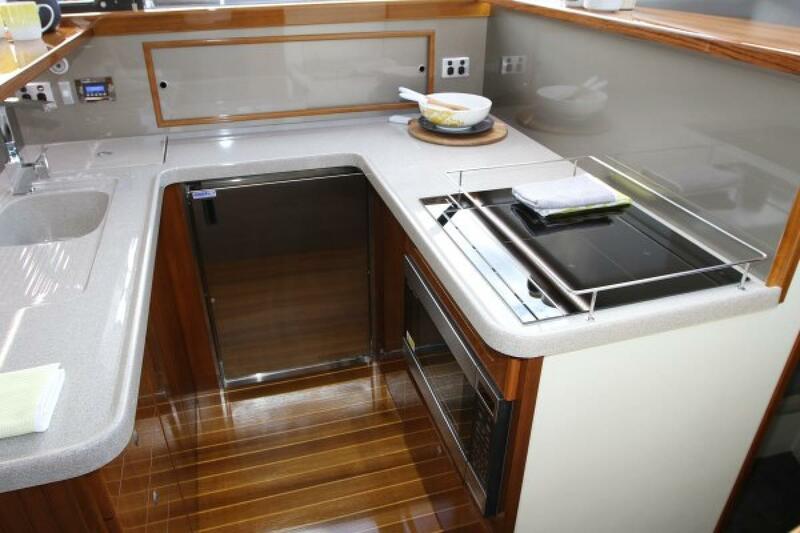 Some of the standard equipment includes 16000BTU air conditioning, Vacuum flush toilet, leather upholstery, U-Tec fridge and freezer system Convection microwave, induction cooktop and more. 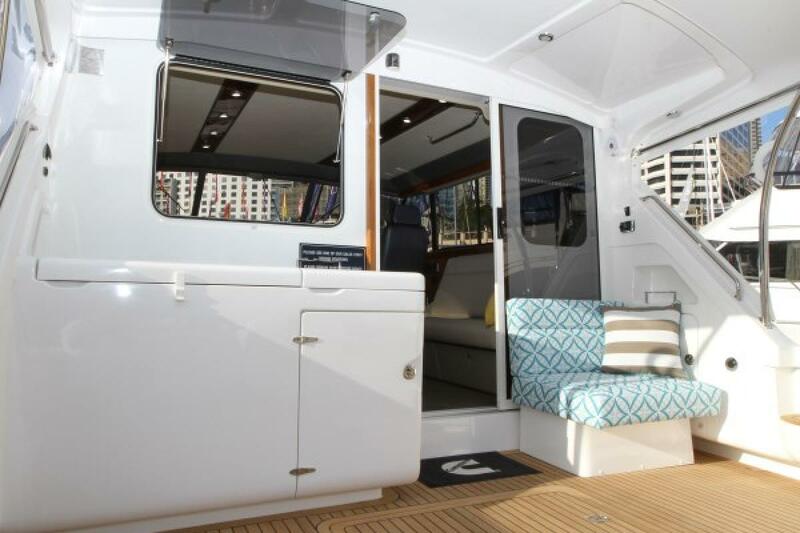 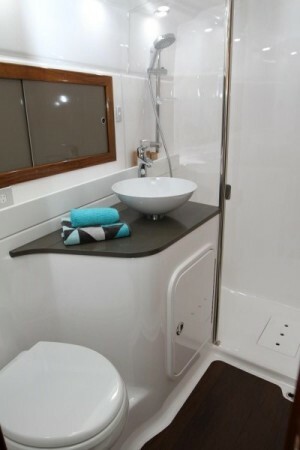 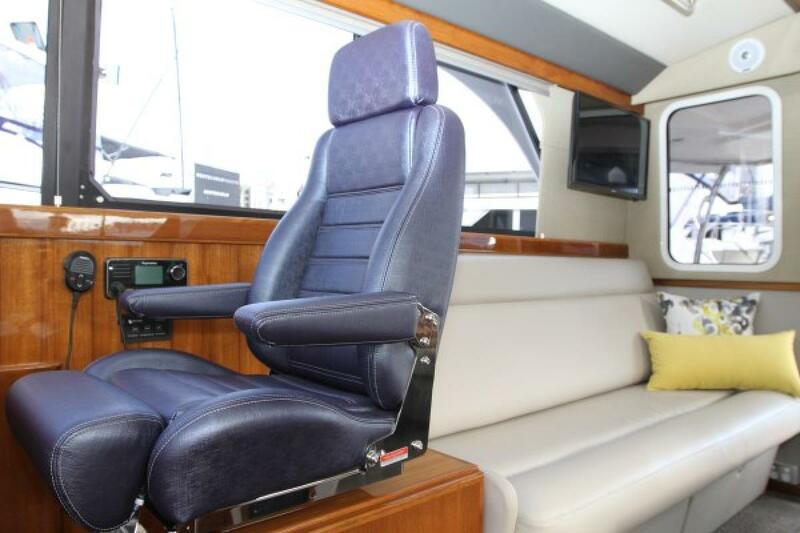 The highly polished teak finishes, modern interior designing and plush fabrics brings the Caribbean 420 express into the 21st century. For further information please contact Australia’s longest serving and largest Caribbean dealer Sylvania Marina, The home of Caribbean.